South Korean game developer Pearl Abyss Corp. has signed a publishing contract for its multiplayer online role-playing game (MMORPG) Black Desert Mobile with a major game company in China, moving a step closer to launching the popular game in the biggest game market in the world. Pearl Abyss said in a disclosure on Thursday that it signed a publishing agreement for Black Desert Mobile with a “well-known Chinese game company” without disclosing the name of the Chinese licensee and the sales amount due to a confidentiality agreement. Black Desert Mobile still needs to gain approval from the Chinese government for release but the sale of its publishing license to a Chinese game company at a time when Beijing has resumed approving games since December last year raises hopes that the Korean game would soon hit the Chinese market. For about nine months until December, the Chinese government had suspended its reviewing process of video game launching amid growing concerns over gaming addiction. But permissions have been selectively given to mainly games developed by Chinese game companies rather than foreign ones. The last time a Korean game was approved for release by the Chinese government was two years ago. Black Desert Mobile, which was launched in February last year, is an award-winning game with six prizes including Presidential Prize at Korea Game Awards 2018. 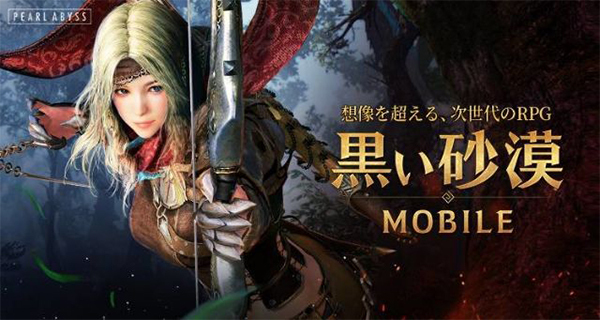 The mobile game is being serviced in Korea, Taiwan, and Japan. Its developer Pearl Abyss plans to release the mobile game in North America and Europe this year.